"""Fundamental and Easy Layout """
I like the shading and configuration. When you work with numbers, you do not understand how much strain you put on your eyes. Sensitive tints and balanced edges help. I understand it may have all the earmarks of being a clear barely noticeable detail anyway it does some astounding things on eye weakness just as how you feel toward the day's end. It is a mind blowing all around requested guide that can manage completing your appraisal structure, foreseeing charge Bill's, circumstances, for masterminding. Regardless, I would alarm, you do need to need to grasp what a part of the more jumbled structures include to do it adequately. I would love to see an unrivaled adjustment of a cloud based programming. They starting at now offer one yet it doesn't have the handiness as the desktop.Maybe more pages would have been not too bad, it is just a single page with tabs. For people looking for an endless option Oltpro is adequate to manage most near and dear and business charges at a reasonable expense. Simply issue is that two or three credits and figurings are lost and could provoked an audit. Just affirm before submitting. Eventually it happens very every so often, anyway occurs. Time hold reserves is an enormous saver with this item. Intuit is consistently turning out with new advancement to use inside their item mulling over irrelevant commitment as it's most PC made at this point. In the midst of cost season this contemplates smart data section which saves time. We look forward every year with updates on what Intuit improves improve the thing so it works for the users.It is an unfathomable orchestrating instrument to enable people to choose maintenances, plan frameworks (bargains), pay ahead, get hitched, isolated... whatever is central!! "The suitable software for filling tax return." I like the way this software enables accurate and friendly tax filling in our organization.Its easy to learn and start using this software because of simplicity of its feature and functionality.Likewise,I like the way its cost effective hence can be affordable by any size of business enterprises.The customers support team is of top notch hence they are very responsive abd helpful whenever I call them to solve problems I maybe encountering with the software.Its highly customizable to meet all our business needs. I absolutely lacks anything negative to say about this software because it work best to suit all our needs.Again I has been our pillar hence we rely on it grealy while filling tax returns. For those organization looking for a software that will meet their returns filling needs then they should give ProSeries a trial. This software is for tax preparation hence it helps our organization in management of tax filling. Its also a great software for preparing corporate tax. I like the ease of using ProSeries the best. It is an intuitive program that is quite easy to navigate and get the right information on the correct forms. I also love how it works with QuickBooks. I would prefer to have a program that offers an online portal as well as a desktop based version. Since I work on multiple computers, it would be wonderful to seamlessly go from one to another without having to worry about installing the program and having the right save files. If you use QuickBooks for small to midsize clients, at a small to midsize firm, I would definitely consider ProSeries. The ease of transferring information back and forth is invaluable. We are solving the problem of needing a tax preparation software. As a CPA firm, it's definitely necessary that we have a good tax program to prepare taxes with. Benefits realized include taxes prepared easily, quickly, and accurately. ""Basic and Easy Layout ""
I like the shading and format. When you work with numbers, you have no clue how much strain you put on your eyes. Delicate hues and adjusted edges help. I realize it might appear to be a straightforward easily overlooked detail however it does some amazing things on eye fatigue as well as how you feel toward the day's end. It is an incredible well ordered guide that can deal with finishing your assessment form, anticipating charge Bill's, situations, for arranging. In any case, I would alert, you do need to need to comprehend what a portion of the more confounded structures involve to do it effectively. I would love to see a superior adaptation of a cloud based programming. They as of now offer one yet it doesn't have the usefulness as the desktop.Maybe more pages would have been decent, it is only one page with tabs. For individuals searching for a boundless alternative Oltpro is sufficient to deal with most close to home and business charges at a sensible cost. Just issue is that a couple of credits and figurings are lost and could prompted a review. Simply confirm before submitting. By and by it happens very once in a while, however happens. Time reserve funds is a tremendous saver with this product. Intuit is continually turning out with new innovation to use inside their product taking into consideration insignificant contribution as it's most PC created now. Amid expense season this takes into consideration snappy information passage which spares time. We look forward each year with updates on what Intuit improves improve the item so it works for the users.It is an incredible arranging instrument to help individuals decide retentions, plan systems (deals), pay ahead, get hitched, separated... whatever is fundamental!! "20 year customer - declining experience"
We have built a practice on this product over the last 20 years. We went from 800 returns a year to well over 6000. Unfortunately, I do not believe this product has scaled with the business. 2) "Please Reinstall" - has been the support lines answers to all our issues. 3) Product instability/performance. The bigger your Homebase, the longer the app load time. I've been buying High RAM/High CPU desktops for my entire staff to meet the needs of this program. By March, it's not uncommon for ProSeries to take 5+ minutes just to open. "My solution for all income tax prep"
ProSeries allows me to prepare all types of income tax returns for all types of clients. I have clients in 15 states. About 98% of the forms that I use in a year are included with the program. The software red-flags fields that need to be filled or edited which really helps to ensure that my tax returns are accurate. Sometimes the program crashes or is buggy. I am able to produce a large volume of high-quality tax work in a minimum amount of time. "Simple and Easy Layout "
I like the color and layout. When you work with numbers, you have no idea how much strain you put on your eyes. Soft colors and rounded edges help. I know it may seem like a simple little thing but it works wonders not only on eyestrain but also how you feel at the end of the day. Accounting has been done with little thought to this up until the last 5+ years I would say. Set up, if name change, is through the company, I think that this is kind of like when Wal Mart asks to view your receipt upon leaving. Simple layout, easy to use and overall better product than so many years past. It is a great step by step guide that can handle completing your tax return, projecting tax Bill's, scenarios, for planning. But I would caution, you do need to need to understand what some of the more complicated forms entail to do it correctly. If someone has a same scenario as a prior year, you can guage if you are on target. But for more complicated issues such as self employment, child care, college credit, rental income, the user needs to know the ins and outs of the tax law to maximize their return. It is a great planning tool to help people determine withholdings, plan strategies (sales), pay ahead, get married, divorced... whatever is necessary!! Plus, it can complete your taxes. "Excellent software for small to medium firm"
I love the ease of use with this software. It allows easy data entry that flows with the preparation of tax returns. I also log that Intuit provide great training and support with any issues. I would love to see a better version of a cloud based software. They currently offer one but it doesn't have the functionality as the desktop. Time savings is a huge saver with this software. Intuit is always coming out with new technology to use within their software allowing for minimal input as it's most computer generated now. During tax season this allows for quick data entry which saves time. We look forward every year with updates on what Intuit does to better improve the product so it works for the users. The dashboard is great, simple , detailed and easy to understand. Surfing through the website is so easy anyone can use it. I always tell my employees to sign up and I never need to train them. Maybe more pages would have been nice, it is just one page with tabs. Everyone's paycheks, W2s, hours and details are on there, so no one contacts me for further data. The forms all seem to link together and the flow makes sense. It is very easy to use and not unwieldy. The customer service isn't the greatest. It often takes a significant amount of time to reach some one for help, and then they can't always help. Fortunately, it isn't needed too often. Additionally, the price keeps going up for the software and what you get for the "package" keeps going down. More and more items are ala carte. We use ProSeries for all of our tax return preparation in our business. We are a Certified Public Accounting Firm. "good software for tax return"
Proseries is very easy to use and very clear. Showing all the forms on the side and you can add additional forms as you needed. The red alert for errors, or missing infos. Not as much as solving problems, but just using the software to do tax returns. We are able to use to do our state return and also other state returns. "Needs to have unlimited retuns option"
It is not overly difficult to use. Most tax professionals can use it after they log in to it or download it. I do not like that they only have an affordable (after discount) options for 20 and 50 returns. I process well over 50, and was looking for an unlimited e-filling returns. For people looking for an unlimited option Oltpro is good enough to handle most personal and business taxes at a reasonable price. Only issue is that a few credits and calculations are misplaced and could led to an audit. Just verify before submitting. Once again it happens very rarely, but does happen. It helps to file people's returns and it is easy enough to use. Pro series is very user friendly. Even the 80 year old CPA awe have in the office can use it without many issues and he's the least tech savvy in our firm, but has little to no issues with it. There are some limitations on size. For example, we have a client with several properties in his personal return (around 200) and proseries does not support his return. The max is about 20 on a schedule E I believe. We also have a CRT (charitable remainder trust) that we have to do manually because proseries does not support form 5227. Other than that it's been great. Supports most tax forms needed for our clients with great ease of use. "Great software for the most part. " I like the ease of use. It’s pretty much fool proof, as mistakes are constantly highlighted as you go. And no matter who works in your office, the software is pretty much easy to use for them after a brief training session. I dislike that Proseries does not support loans, even when your bank product does. And the constant need to update products, at which point you don’t find that out until you try to send up a return. The support is helpful, there are also helpful articles. And the software is very user friendly. The benefits of running a business using Proseries is the ease of use and ease of training for use with your employees, whether they are familiar with the software or not. 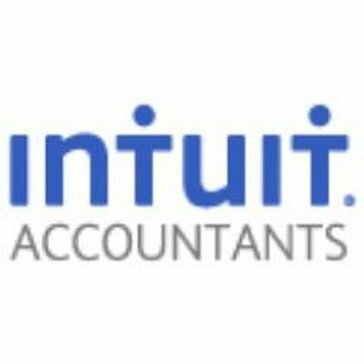 I enjoy how intuit provides training for its accountants to become a pro advisor and thus improve their visibility amongst potential clients. And I also enjoy how all the clients are easily accessible in one portal. I am able to keep my clients organized In one place by virtue of this program. "Pro Series is a must for any tax preparer!"
. Tends to bog down while printing returns or preparing for electronic transmittal. Good product. No a fan of the recent user license (roughly $400) besides the cost of the software. "Great software with wonderful support"
We use this software in our accounting office. The software is customizable and works great for large or small firms. The form updates and support are wonderful. Support techs have walked our staff through set up to finalizing and editing. The tracking ability through finish and ability to integrate with internal programs are top rate. I find it really smooth to move through. I love all of the built in resources. Everything flows well and you can easily find how forms and numbers are connected because they refer to one another. I love that you can make templates and the client homepage can be tailored to how you find information best. Creating custom letters for clients is a pain in the you know what. Unless you know coding basics you are better off just typing up a word doc. Use the supplemental training guides and online account available with this product and you will be in good shape. If you get stuck they have a great live support team based in the US. This is powerful, professional, tax software for complex individual clients and up. "Great Database for all tax season"
I like the ease of access to data. I can create custom sort lists to show what I need. I also like that each area is clearly separate so there is no confusing state with federal. Part of our business uses custom status codes in order to show the information we need. ProSeries makes this incredibly easy to do. I do not like that it can take forever to update and there have been times where the entire program has had to be reset due to a lack of updates. I would like to see the ability to add or remove columns as there can be a large amount of unnecessary data visible. It would also be great to be able to sync status data with our Quick Books system. Instead of logging into two different programs I would prefer to enter and sync in one location. Do not try to use the software in the middle of a busy tax season. Take the time to navigate and become comfortable ahead of time. There are many useful features and steps to take that require time to become comfortable with. Tax processing. E filing is much easier and can be tracked efficiently. We also use the organizer feature and there are times that the sync ability would be helpful. Instead of creating more than one client file we create one and it will integrate as needed. "QuickBooks Pro used for Small Business, with Interface"
QuickBooks Pro is satisfactory for a small business entity that I track in-house. It's easy to set up and fairly easy to use for simple transactions; but I wouldn't necessarily recommend it for a complex business. Our company has developed an interface to our Business Management System for OPE dealers, that generates Sales journals to be transferred into QB. The system works alright for these dealers, but doesn't provide the level of security and transaction details often required by our dealers. The system allows users to change accounting transactions - in effect, unraveling the paper trail created by the original transaction - which doesn't allow the level of security we provide for our dealers, e.g. to be able to track an item if someone later deletes the invoice. Consider the business applications - if you have Business Management Software, give serious consideration to using financial packages developed for that software, rather than an integration to QB. 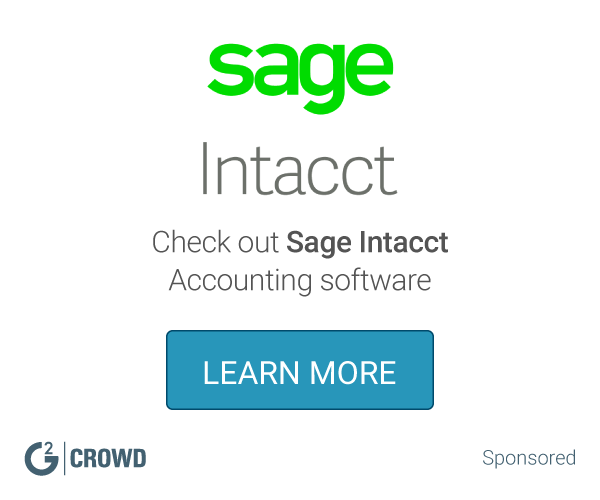 Customers that already use QuickBooks in their business can continue to do so. "Perfect for a smaller business. " Users can easily track and manage e-filed returns. Setup is fairly simple and user friendly. Users have the ability to create and email an encrypted PDF file of the client’s return directly to the client. DocuSign makes it easy to obtain electronic filing signatures. I also enjoy the chat option which allows real time communication with clients. Is not suited for larger companies and the cost is higher than I feel necessary as similar functional software is on the market. The software is easy to use, but the high cost should definitely be a factor. There are other just as effective programs out there. The cost seems to increase yearly but improvements to the software do not seem to be a part of the yearly cost increase. Its transaction tracking is good and tax management is easy with this software. Its easy to use and it also involves simple worksheets. Its online version is not that effective in deploying different tasks. Its easy to use and effective in filing taxes. It helped me to make sure our company files its tax returns in time and accurately. Ease of use and functionality. I first heard about ProSerise from the Quickbooks Online Pro Advisor program and decided to try out its functionality. I instantly fell in love with the product and decided to deploy it in my firm. I would have to say that the biggest downside is the price per return structure. I would favor a flat fee and have the ability to complete as many returns as I can in one season. Streamlined tax prep. for clients. I like the ability to go from input to the form and back again. Ask for a prior year version and run through a return preparation. It will show you how easy this product is to use. I use this software to prepare tax returns for all my clients. It is easy to import k-1s from flow through entities prepared by me. I dislike the lack of having the ability to import old files.from other software. Can be pricey for smaller.companies. I am currently analyzing tax audits. The software has easily allowed me to compute various forms. Its a time saver and money saver. "Good software package with a few limiations"
I do not have to re-input data every year which saves me time. I wish it were in the cloud so I could access my tax files remotely and from other computers. If you do less than 50 returns a year mostly in one state, it is a great product. I do tax returns but not alot, so it fits my need well. "Great Software for Tax Preparation"
So many helpful features, not too confusing, like the ability to have custom home base views. Also like the integration with Docusign to sign electronically instead of having to send out paper e-files and wait for everyone to sign before we can file. Sometimes freezes, annoying having to constantly change the password. As a tax office, ProSeries is obviously instrumental to the business. Helps get tax returns done in a way that gives everyone peace of mind. I like that the software is very easy to navigate. It has a very helpful search function. I dislike how long it takes for the program to pull up on my computer. It is very slow to start. ProSeries helps us to provide an excellent tax preparation service to our clients. One benefit is that it can easily sort clients and filter clients based on criteria that you specify. it is very simple to use for people who understand tax. i like the fact that you can file returns for foreign countries easily. "ProSeries a oriduct you can trust!" I love how clients data flows from previous years seamlessly into the next years returns. The software consistently works well every year with no glitches. I have been using it for 5 years and have had no problems. I have also used the back years to 2002 and they have helped me to get my tax clients compliant with tax filings easily. Would like the price to be a bit lower when networking multiple computers in my office. Working with tax clients, I see many with back years unfiled. With ProSeries I know I can handle any back year with easy for business or personal returns. Federal and multi states are a breeze to file, electronically or by paper. Ease of use. ProSeries has great navigation settings so it's easier for beginners to learn and advanced users to analyze tax clients. Sometimes, the software makes the wrong calculations and we would need to override it. It makes it easier for us to prepare tax returns for all our clients, without the hassle of going through each form or each figure in the tax returns. I liked being able to do payroll for clients and making it sync with QuickBooks. It is very user friendly. I disliked how the reports for taxes where setup. Really hard to figure somethings out and had to go through every payroll for some information where it should of been right there. I am able to do payroll and pay taxes for clients. It also puts data into QuickBooks that you enter for payroll. "Not so in to it"
As goes with most intuit products they are good, but I feel like this isnt going in the right direction. Not much that I liked most. I didnt like the user interface, nor did I like the check processing abilities. Keep looking. Unless you are a huge fan of intuit this is not the best. Accounts payable, receivables and check processing. It is a easy to use tax filing system that lets me prep and do filling for all the employees needed which is great in one package and don’t need to worry about getting multiple or spending more money. I can manage all my employee tax needs with the proseries unlike others I have tried in the past and it has helped me feel secure in my choices. Pro Series: The tax software was great. They offered a complimentary version to try out first. After a few years, I found out it was user friendly and easy. The company is superb nothing to add not one thing. If you want top notch data support use ProSeries. I like that it's more than just a tax software. It transfer clients data very well. Very professionalism. Proseries was a bit hard to set up for my company profile but customer service was very helpful. I loved the how to videos as they were very helpful, especially with understanding how to complete tax returns. The initial setup. I had to speak to customer service for a few hours. Filing tax returns, be it business or corporate. "Great tax software but not cheap"
Over the years ProSeries has gotten very expensive. Drake Tax Software is much cheaper and can do more. I have used this product since 2001. I love the ease of use of this software. It's so easy to find forms you are looking for. I also love that you can transfer client data from previous years. I don't like that the integration feature they have with Efile Cabinet never works. Being able to transfer client data cuts my time in half and it also lets me keep track things that were done in previous years without opening that software so that I can know if my client is missing information that they usually have. I have used ProSeries to prepare returns for more than 6 years now. Ease of use with data import saves me time year after year. It is very useful for mid to small financial institutions. Clients with large financial accounts need different software to handle the capacity. "not bad but can be better"
"The best software for professional preparers"
Everything, the functionalities keeps getting better each year. I cannot find anything wrong with ProSeries as its top of the line. I wish it had more automation to it. Where pictures can be uploaded to complete forms such as the W-2 and 1099s. ProSeries is user friendly and it makes filing tax returns simple and efficient. If a electronically filed tax return does not successfully get transmitted, I do not receive any special alerts. We are using this as our dedicated tax filing software. "Ease of Use of ProSeries"
It is very user friendly and has most all of the schedules you would need. There is a ask the question and it helps to tell you where to enter certain items. It carries over prior years information to the next tax year. Great security for the important and private data. I dislike the sign in procedure, but I understand that it is part of the security. Solving tax issues for clients and helping them prepare for the next year with some tax planning. I like the personal service. If you need help they are a phone call away. Waiting on hold.to speak to a knowledgeable person.to help with a tax person. I like that the system reminds you of every step. you cannot submit a return unless you have gone through every step. I don't like that the program freezes at times during deadlines. The team I worked with was able to access the same software & check eachothers work. The system checks for you as well. Makes your work not only accurate but simplified. "makes financial account management simple and easy"
I best like the 1040 returns, which gives me the best returns and easy understanding. there is noting much i dislike about the intuit pro series. sending the data requests is easy. We did tax returns on pro series. It was very useful. It helped us prepare good returns for clients. Nothing. It was a good thing to use for returns. Good for using on tax returns. The company used this software mainly to prepare returns for clients. It also taught me a lot more about tax returns. * We monitor all ProSeries reviews to prevent fraudulent reviews and keep review quality high. We do not post reviews by company employees or direct competitors. Validated reviews require the user to submit a screenshot of the product containing their user ID, in order to verify a user is an actual user of the product. Hi there! Are you looking to implement a solution like ProSeries?